I have to admit that when I received a landmark from someone called "Down to the Sewers (most charming and magical sewer in SL)" it roused my curiosity. And what's down in these beautiful sewers are some magical creations indeed: an exhibition of lamps, entitled Fuse, by artist Trill Zapatero. Now, before you yawn and say, "Lamps? You must be kidding, Ziki," be assured these are no ordinary lamps! Trill says she needed to make a lamp for her shop, began to rummage around in her inventory, and built one using all sorts of odd pieces and colors, and that started what became an ongoing project. The lamps are actually for sale, too—mostly around the L$400 mark—and comprise about 30 prims or so. 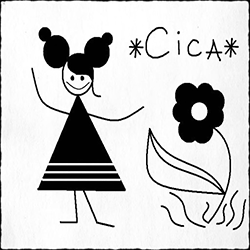 They're beautiful, imaginative, distinctive and fanciful. (Click on the images to zoom in.) Trill says she'd eventually like to "make a crate full of loose parts so people can make their own lamps," which would be loads of fun. 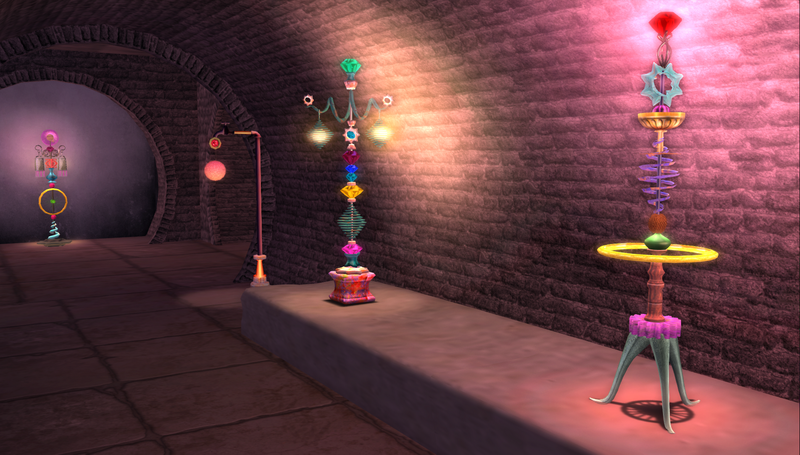 But if you do tire of the lovely sewers there's much more to see in the sim. First off there's BoHo HoBo (same landing point as the sewer), featuring ladies attire by Trill, and all the profits from this venture go to support the Afghan Women's Mission in support of the Revolutionary Association of the Women of Afghanistan (RAWA) to fund schools, orphanages and clinics for refugees of the Afghan war. 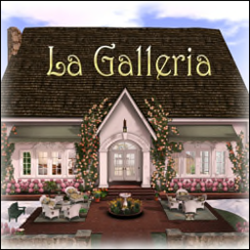 Inside the shop you'll find a display about RAWA, and if you take the teleport you'll learn even more at the Afghanistan Virtual Museum, located elsewhere in the sim. Additionally you can visit the shop Meena, which features ladies attire ("Afghan inspired Bohemian clothes") and jewelry. 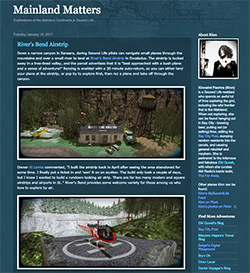 Updated links on 31 March 2012 to reflect the new name of the sim.